Tales and truths about our cabin in the Alaskan Interior. I’m in Anchorage for two nights. After checking in at the Bent Prop Inn & Hostel, I told several people how glad I was to have a bed that isn’t in motion. Even this morning, I can still feel the sway of the boat and the rocking of the train. I’m assuming my brain will catch up with my body eventually — meanwhile, what I said about the bed is not quite right. The mattress is like trying to sleep on the back of an animal. There’s one pronounced hump that runs straight down the center, about the width of a Weimeraner. It’s not easy to balance on the back of a dog while you sleep, so I was constantly rolling down one side or the other. Saggy bed aside, the Bent Prop is walking distance from the train station and has everything I need. 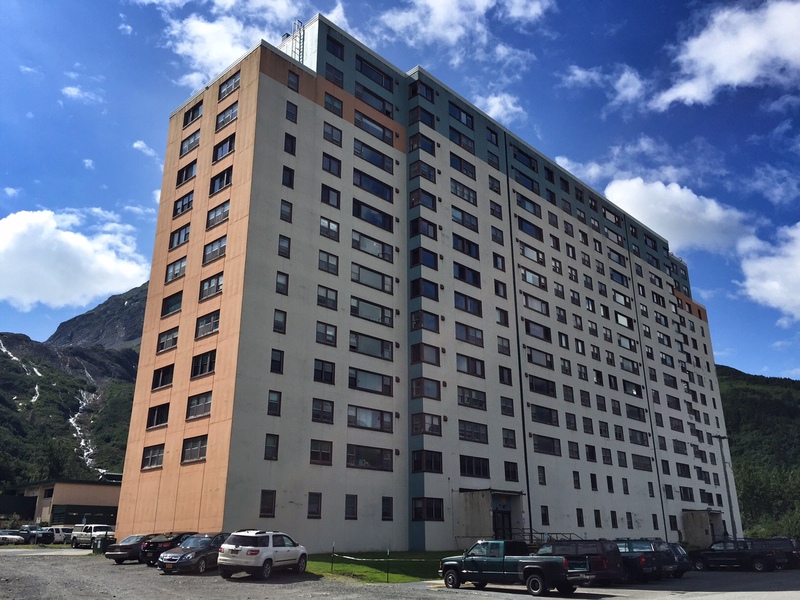 A night at the Comfort Inn or something similar in a convenient location would have cost about $250 — summer rates in Alaska are notoriously steep — and here I’ve got a private room (not-so-hot showers down the hall) for $72 per night. The savings are worth doing a circus trick in bed and feeling shivery in the shower. Also, the manager, Dave, is the nicest, most helpful person you could imagine and there’s a laundry room. My clothes are getting clean as I type. Yesterday, after carrying us for 1,629 miles, the ferry docked at Whittier and most people disembarked. 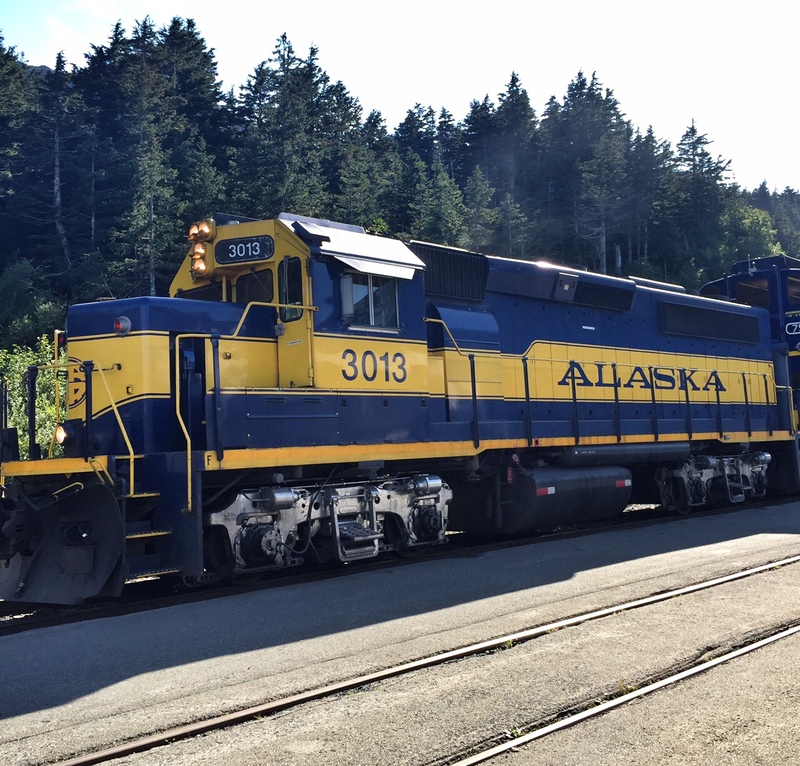 I waited 12 hours for the train to Anchorage, even though I was offered more than one ride. On previous visits to Anchorage, I’ve seen how the ARR Glacier Discovery runs right along Turnagain Arm at sunset, and I wasn’t going to miss that. 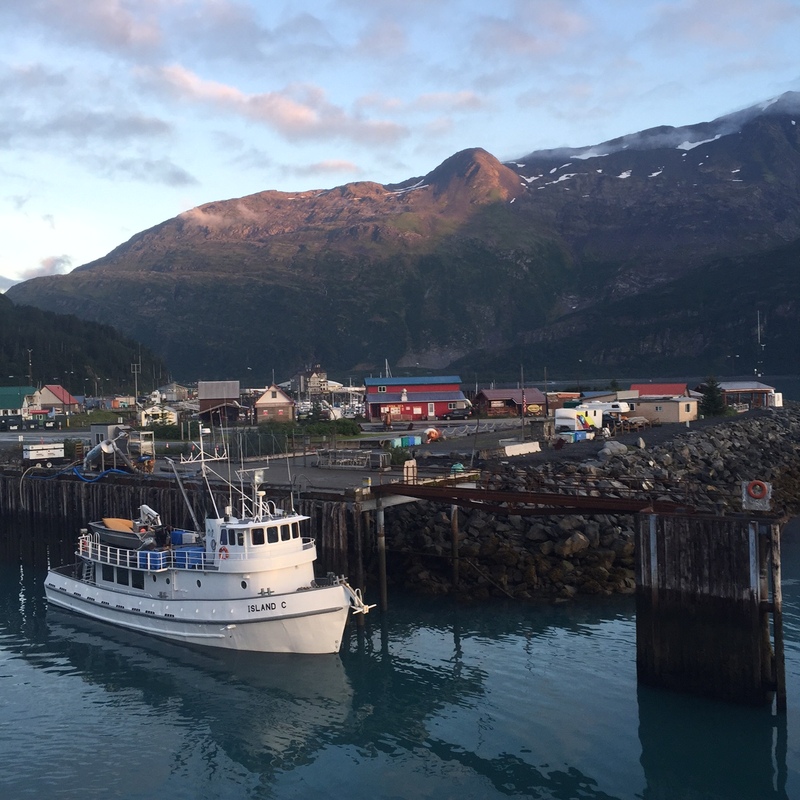 Whittier is a unique place with a fascinating history, yet 12 hours felt like more than enough time to be there. The town has a population of about 225 people, and almost all of them live in the same high-rise building. 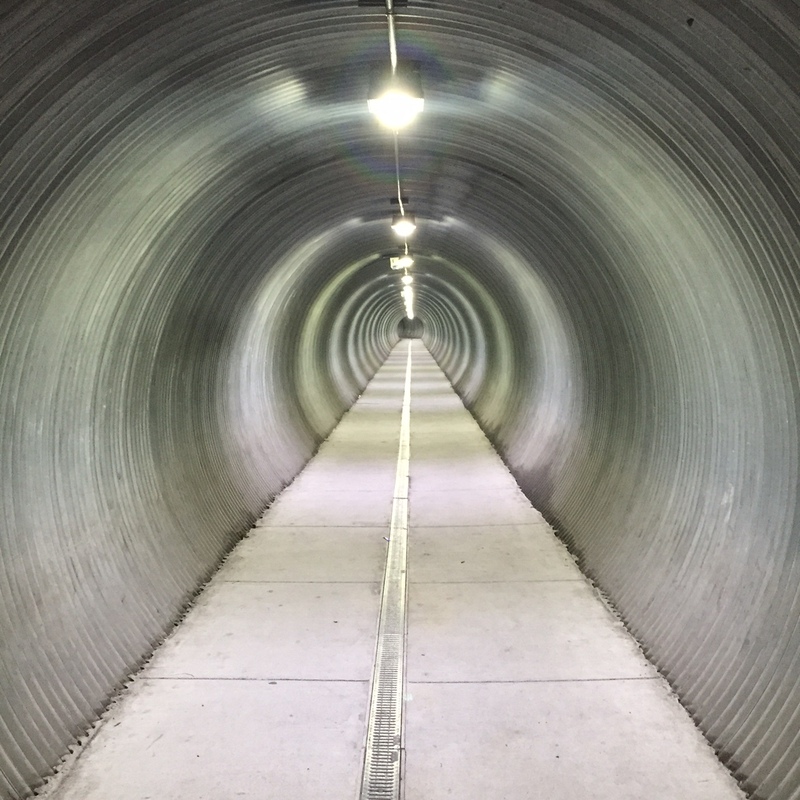 The only land access is a two-and-a-half mile tunnel through one of the mountains that locks Whittier away from the Seward Highway. (The tunnel closes at night.) 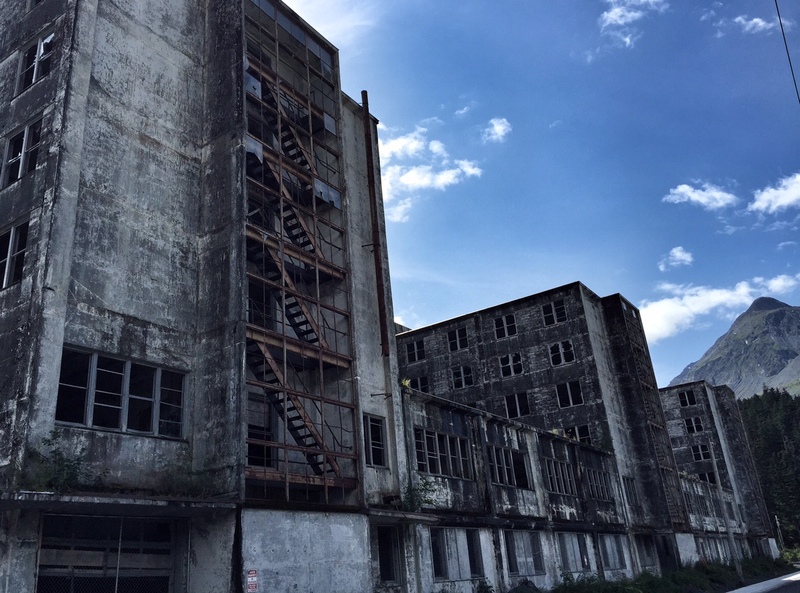 Whittier is also home to a monstrous reminder of military foolishness — the decrepit Buckner Building, an asbestos laden ruin that was used for only six years before being abandoned and left to rot. Just looking at it made me mad. The extraordinary natural setting of Whittier is a balm for its history of military-industrial weirdness. And there was one real stand-out moment while I was in town. I stumbled off the ferry into a tiny coffee shop where I hoped to use the Internet and get my bearings on land. Also, they have a locked shed for bag storage. I gave them my pack and returned to it on and off throughout the day. While I was in the cafe, everyone was wishing a happy 18th birthday to a young woman making coffee drinks behind the counter. She was the one who escorted me to the storage shed, so we got to talking. I asked her how long she’d been in Whittier and where she lived before that. She said she’d come to Whittier from the Philippines about four years ago. That immediately put me in mind of an episode of This American Life in which a teenager who grew up in the tropics is unceremoniously plunked down in Whittier and has to figure it all out. Sofia said, “Yes, I was in that story.” I listened to it again last night and there she was. It’s a great story and an entertaining way to learn about daily life in Whittier. That’s Sofia on the left, below, with her friend Zalena — the story’s main subject. This fall, Sofia is heading to the University of Alaska at Anchorage with a scholarship, and she wants to study psychology. Meanwhile, she’s working hard at two jobs to save money for life on the other side of the tunnel. Click here to listen to the story on This American Life. Wow, to travel all that way and run in to a TAL star! That’s neat. Also, that bed could be a kickass yoga prop/shoulder opener. : ) I love you and miss your physical presence!! Continued blessed travels to you! Hi Beth! It was super neat — and I am super glad to be away from that crazy bed. Miss you, too! Every summer, my husband Stewart and I migrate north from the San Francisco Bay Area to our cabin in the Alaskan Interior. This blog will mostly be a gathering spot for tales and truths about that remarkable place. 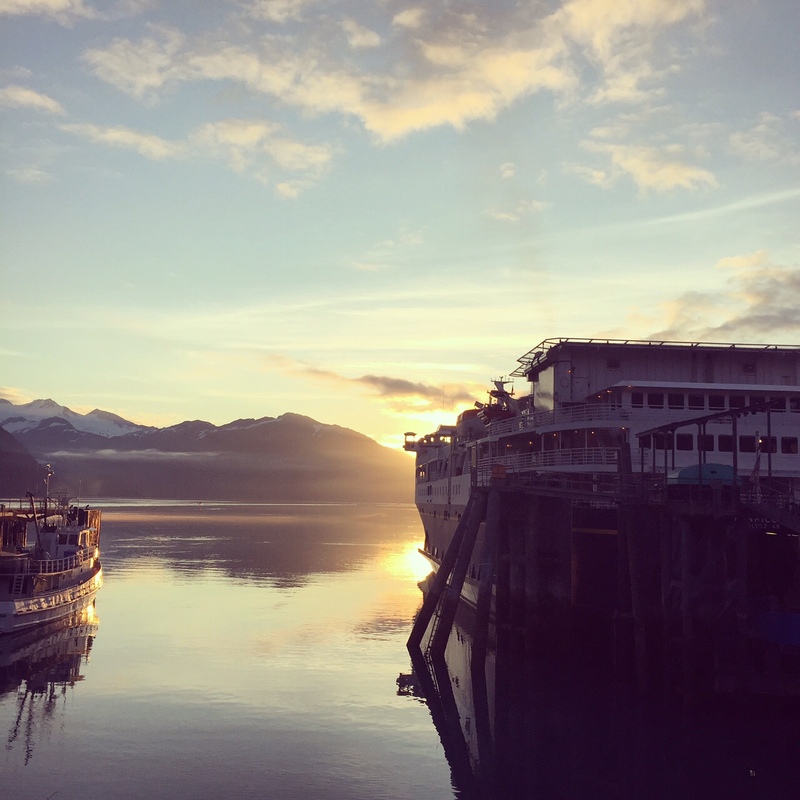 We may also write about getting to Alaska -- what happens along the way. These posts will answer questions about the cabin. I’ll link them as we write them. How did you get the land? How did you build the cabin? Is there anyone else nearby? What do you do for water? Can you use your cell phone? What do you do about food? Do you hunt? Do you fish? Can you see the mountain? What kinds of animals do you see? What if there’s an emergency? Have you ever stayed all winter? Don’t you get ________ [bored/scared/sick of each other]? We each have websites about what we do for work in the world. Here's where to find out more about Stewart and more about Shae.